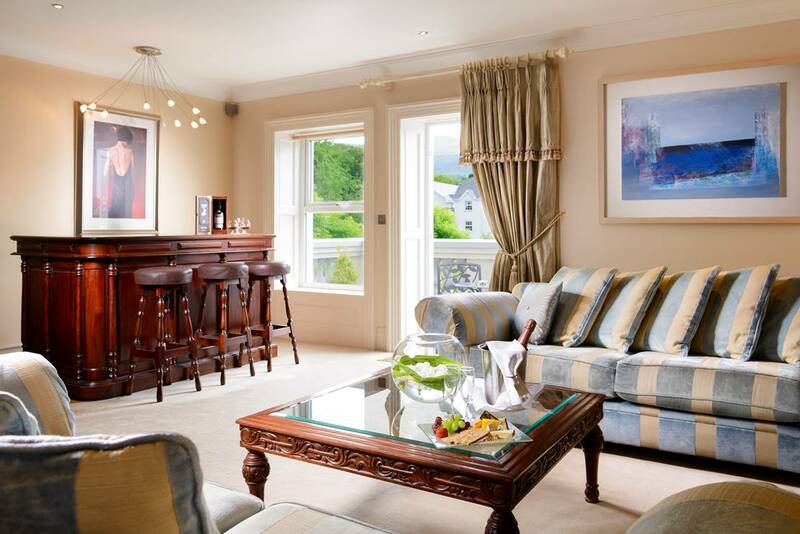 Set in the heart of stunning Killarney National Park near the Wild Atlantic Way, the Muckross Park Hotel & Spa delivers authentic Irish hospitality, modern luxury, and a rich history dating back to 1795. 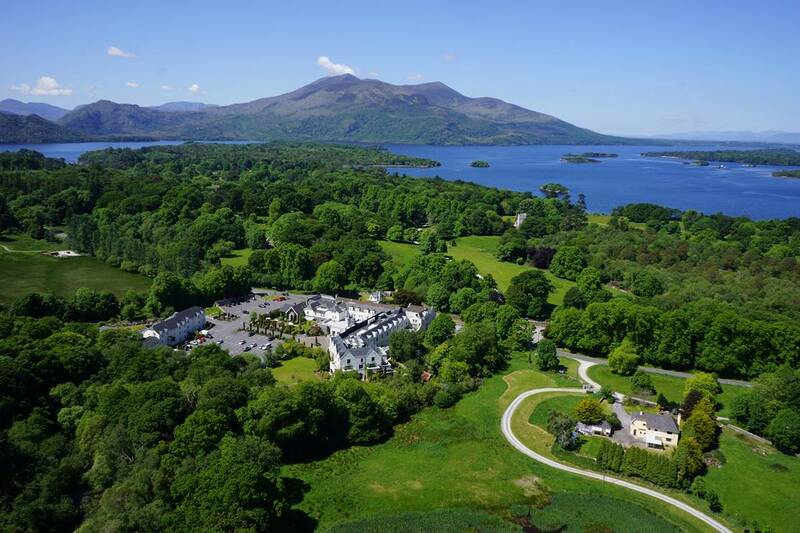 With 25,000 acres of lakes, mountains and woodlands surrounding them, guests can spend countless hours biking, walking and horseback riding through spectacular scenery; fishing and boating; exploring historic sites; and strolling the quaint streets of nearby Killarney Town Centre. For golfers, the hotel can enjoy championship play at an excellent selection of courses, from the nearby Killarney Golf & Fishing Club to links-style play at Dooks Golf Course and Ballybunion’s Old Course and Trent Jones Cashen Course. 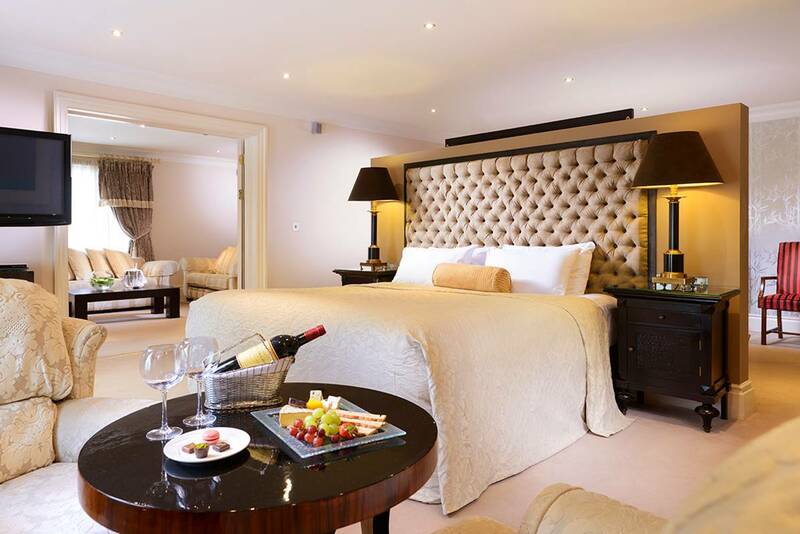 Back at the hotel, the award-winning Spa at Muckross tempts with rejuvenating treatments and tranquil views of the Bluepool River in a setting inspired by a nearby 15th century Franciscan Abbey. 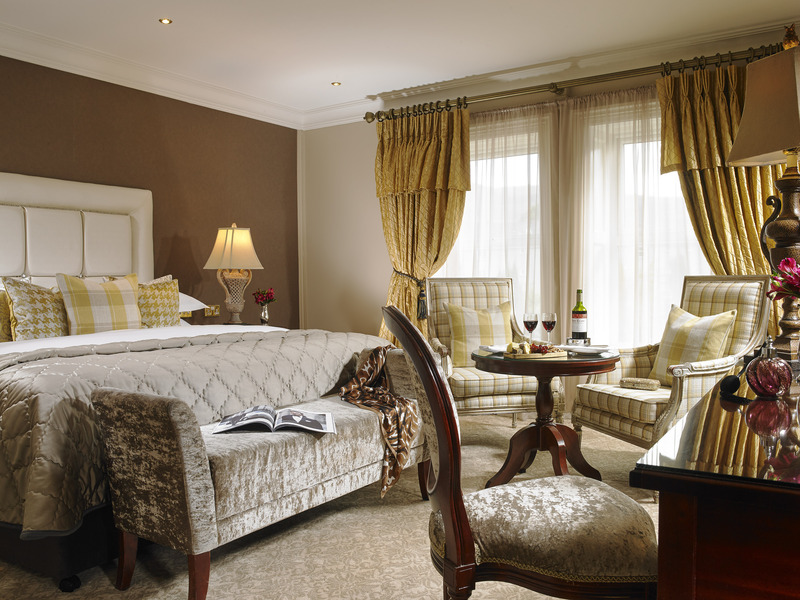 Guests can choose from 70 exquisite guest rooms and suites at the hotel, or for a more residential experience, book a two-bedroom, self-catering apartment at The Reserve at Muckross Park. Apartment guests enjoy full access to the hotel’s spa, fitness and dining facilities, including the Victorian-style Yew Tree Restaurant and Monk’s Lounge. Major Colgan’s provides a gastro pub experience as well as live Irish music and dancing on summer evenings. Yew Tree Restaurant: Winner of the Gold Medal Award for Best Restaurant on the Wild Atlantic Way, this Victorian-style dining room serves modern Irish food with a focus on the finest locally sourced ingredients — fresh Atlantic seafood, prime Munster beef, and the freshest local produce. 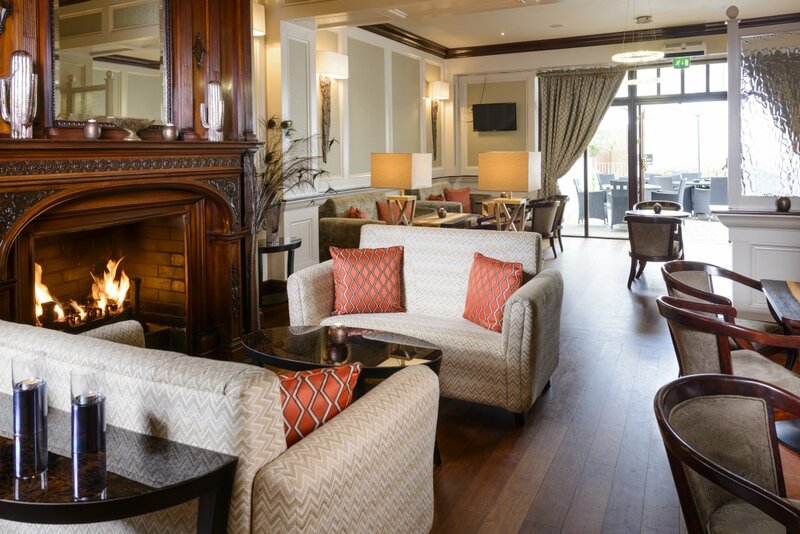 Monk’s Lounge: Afternoon tea, lunch, and evening drinks and cocktails are served by a welcoming open fire at Monk’s Lounge — the perfect spot for a glass of Irish whiskey among friends at day’s end. Major Colgan’s Irish Pub: Open seasonally, award-winning Major Colgan’s serves a casual gastro pub menu, complemented by live Irish music and dancing on summer evenings. Located next to the hotel. 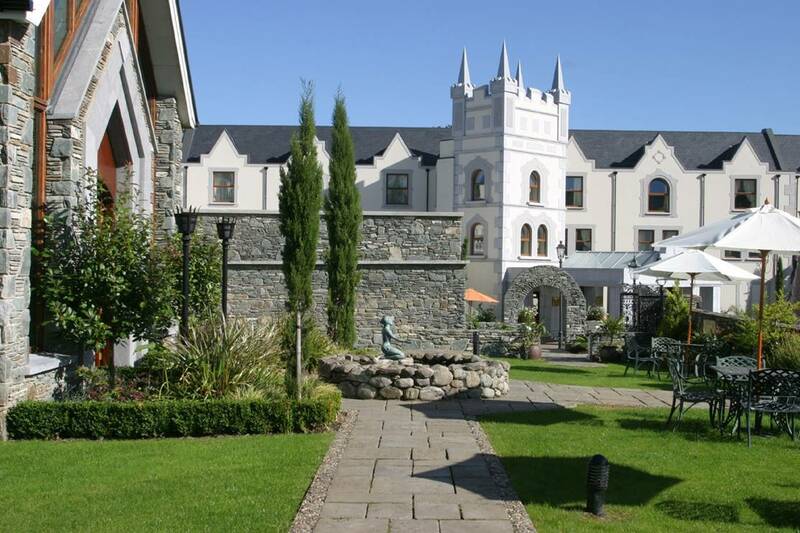 Muckross Park Hotel & Spa is an inspired choice for meetings and special events in Killarney. Five event spaces include the contemporary Valentia Suite for gatherings of up to 250 guests, the medieval Atrium and Abbey Suite accommodating 180, and the Victorian-style Bourne Vincent Room for up to 40. 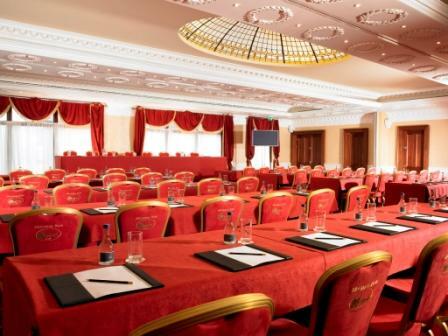 The hotel’s expert conference and banqueting team handle every detail to ensure a seamless event. Named the RSVP Wedding Venue of the Year for 2016, the hotel offers an exceptionally romantic setting for ceremonies and receptions, and its grounds abound with stunning backdrops for wedding photographs, from the Blue Pool River to the thatched gazebo and spa garden. 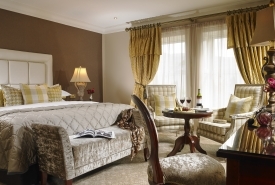 Winner of a World Spa Award for Best Destination Spa in Ireland, the Spa at Muckross is a gothic-inspired, timeless haven of world-class relaxation. It features a sauna, steam room, Jacuzzis, outdoor hot tub, private spa garden, heated loungers, relaxation room and tropical rainshower. Spa-goers can select from a full menu of facials, massages, and spa rituals, with products provided by Pevonia Botanica. The only spa in Killarney National Park, it draws design inspiration from a nearby 15th century Franciscan Abbey and its beautiful natural surroundings. 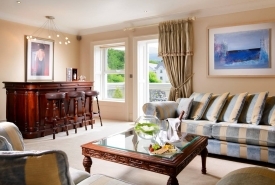 Ideally located in Killarney National Park, and only 3 miles from Killarney town centre. Surrounded by 25,000 acres of lakes, mountains and woodland. 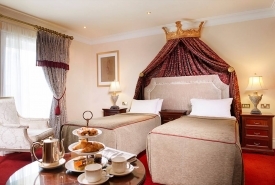 Close to popular attractions such as Muckross House, Ross Castle and Torc Waterfall, as well as the famous Wild Atlantic Way driving route. Awarded Ireland’s Best 5 Star Wedding Venue 2016 in the RSVP awards. Best Five Star Accommodation in Ireland 2017 by the Irish Accommodation Standards Institute. 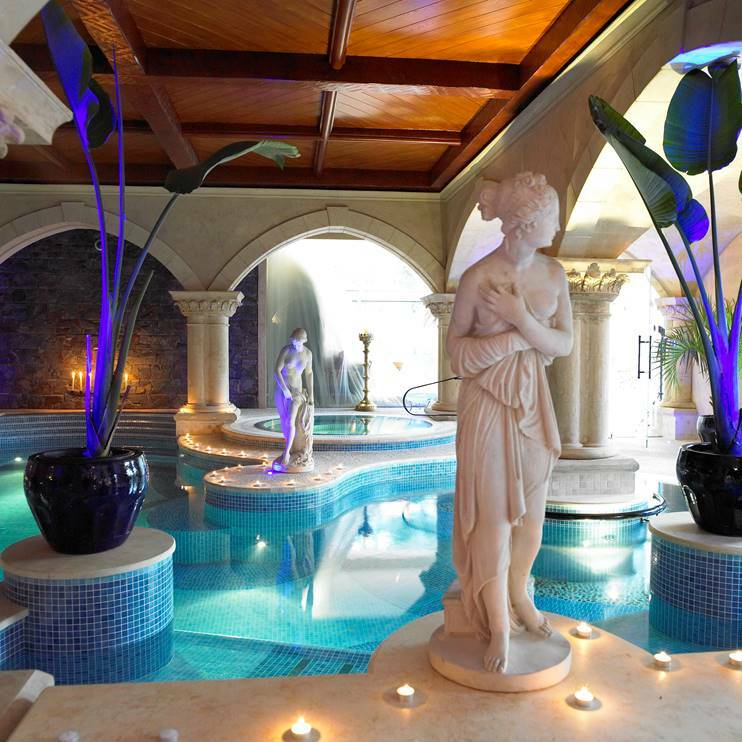 The Spa at Muckross – an award-winning, gothic-inspired spa themed on a local Abbey. A superb choice of on-site dining options: from the award-winning, Victorian-style Yew Tree Restaurant, to Monk’s Lounge with afternoon tea and a selection of drinks on offer, to Major Colgan’s, a seasonal Irish Pub with live Irish music and dancing on summer evenings. 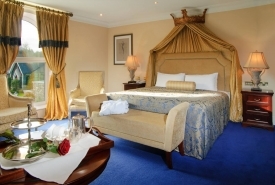 Killarney named one of the top 10 destinations in the world by Trivago in February, 2016. Located in the County of Kerry, and crowned as Ireland’s adventure capital, Killarney is at the heart of the beautiful Southwest of Ireland. Also known as “The Town in the Park”, Killarney town is surrounded by 26,000 acres of National Parkland, including three stunning lakes. Killarney National Park – Ireland’s oldest National Park formed in 1932 – was deemed a UNESCO Biosphere Reserve in 1981 and is home to Ireland’s highest Mountain, Carrauntoohill, standing at over 1,000 meters. Visitors to Killarney National Park can explore a wide range of recreational activities and sporting options to satisfy any appetite – from some of Ireland’s most scenic mountain trails (and climbing Ireland’s highest Mountain Carrauntoohill), to boat trips on the lakes and around Innisfallen Island, family picnic locales, cycling, and nature trails. The climate in Killarney results in lush greenery, scenic landscapes and breathtaking natrual views. The Wild Atlantic Way – 2500 kilometers of Ireland’s most rugged and inspiring coastline driving route – stretches from Donegal in the North to Cork in the South and features islands, inlets, dramatic cliff views and some of the best scenery in County Kerry. County Kerry is home to some of the best golf courses in Ireland, famous for their great locations and stunning scenery.